The “K” heritage and the social bases for the rearrangement of the picket movement. 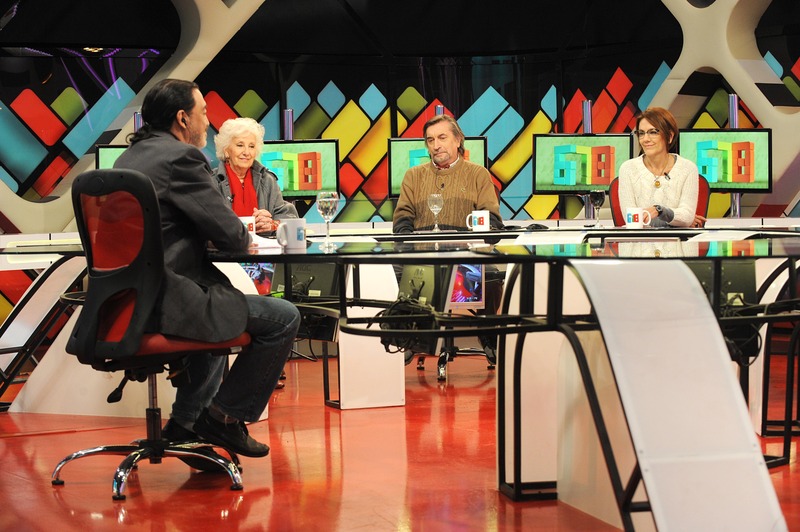 Some argue that with the victory of macrism the country will return to the 90’s. 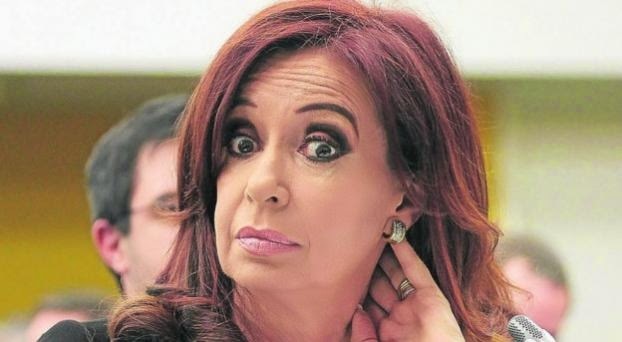 However, an examination of the main social and labour market indicators shows that in despite of the “K tale” we are in the last decade worst than with Menem and that Cristina leaves a country in flames. By the end of the 90’s, argentinian economy laid bare what truly is: a capitalism that every 8 or 10 years enters a stage of crisis. Even after the financial injections of the International Monetary Fund, Argentina showed its real face, that is unable to compete with its international pairs. To this was added the fall of agrarian products prices, wich in fact is the support of this country’s capitalism. The consequences were the closing of many factories, an increasing unemployment and labour precariousness. These are the bases for the picket movement. After the 2001 crisis, the economical recovery came thanks to the increasing soy prices, a rising demand of agrarian produce from China and a mega-devaluation of the peso, processes wich were the bases for this last 12 years bonapartism. In other words, the “weeds” and the salary drops were the economic support for the kirchnerist assembly. Among the effects of this recovery were the creation of jobs, rising salaries, an increase in social assistance expense and an apparent working class prosperity. Nestor as much as Cristina boasted of being the precursors of the “Productive Model”. However, an examination of the main social and labour market indicators shows that in spite of the “K tale”, as a matter of fact, in the last decade a growing layer of precarized, unemployed and poor workers was consolidated, even with the ammount of subsidies and state transfers directed to the most pauperized people. The current government then leaves a country in flames, not much different as it was left by Menem, but in a more delicate moment than with the beggining of Nestor’s management: with soy and commodities price in drop. Kirchnerism brags that under their mandate millions of jobs were created and that the labour market recovered from the menemist fall. They are right to a certain extent because there actually was job creation. Nevertheless, the labour market recovery was based in an increase of precarious jobs. Then everything comes to if it is productive and “genuine employment” or superfluous ,precarious and poorly paid jobs. The idea that during the “K” age the industrial model was relaunched is denied by history. The evolution of the labour market composition shows that industrial employment loses relative weight against other activities in the economical structure. In fact, between 1950 and 1960 industrial work constituted 20% of the total workforce, while state employment was of 11,4%. In the 80’s and 90’s, industrial jobs occupied a 14,7% of labour market. On the other side, state employment had a 14,22%. Last, between 2003 and 2009 only a 10,5% of the total workers had an industrial job and public employment rised to 16%. During Nestor’s term it was the private and registered sector of the economy who saw a rebirth of employment. Until 2008, the growth of registered employment was sudden, but then it tended to stall or at least grow to a minor rythm than in the previous period. The branches with more worker’s participation and job creation are those that pay worst salaries like construction, shops, restaurants and hotels. This tendency, existing in the 90’s, only went further in the last decade: in 1996, worst paid workers composition was of 54%, while in 2014 that percentage rised to 62%. One of the pillars to sustain the “model” was that of the unregistered work. This labour market characteristic is not an “error” or something “pending” like some pro-government intelectuals pretend to justify, but the condition of its existence due to the cheapening of the workforce. If we compare the present unregistered work with the numbers from 2001-2002, its evolution show a decreasing tendency at least until 2010. Since that year it stalss in about 33%. It is important to notice that this percentage represents more than 4 million people with no paid vacations, retirement funds nor other rights that fall under collective bargaining agreements for any registered worker. However, this reduction on unregistered work was not enough to revert the 90’s situation. In fact, the average percent of unregistered work during 1991 and 1999 was 33,32%, while, between 2003 and 2014 it was 39,10%. Just to name a few examples, during 2014 in agriculture and stockbreeding , one of the most dynamical sectors of the last decade, 61% of its workers were unregistered. In the construction field, the percentage of unregistered worker scaled to 69%. Followed by hotels and restaurants and shops (39% and 41% respectively). Another aspect of the increasing precarious employment over the last decade is the rise of jobs with shifts of less than 12 hours per week, which means, an under-utilized workforce for the capital. In fact, INDEC (National Institute of Statistics and Census of Argentina) considers that this share of the population who alternates moments of unemployment are actually employed. Beyond these inconsistent criteria lies an indicator used as a justification of the supposed labour market recomposition. So far in 2015, this layer of the population constitutes a 12,5% of the total employed, number that represents more than 2 million people. This fraction of the working class is growing from at least the beggining of the menemism and its evolution was not reverted under the kirchnerist government in pursuit of jobs with a full time work day (see graphic 1). Last, another element that contradicts the “industrial model” is the important rising of state employment. Its evolution during kirchnerism wasn’t lineal: if we compare it with the general tendency of private employment we can see that this one increases its participation over the total jobs until 2007 and then it stalls. On the other hand, the later stage is caracterized by the growth of public employment, the stall of the economic activity and the absence of creation of new jobs in the private sector (see graphic 2). It’s not casual that the public employment growed mostly in the poorest provinces of the country and with less industrial tradition, like Tucumán, Salta, Misiones, Chaco, Santiago del Estero and south provinces, among others, that depends on State assistance. One of the most utilized arguments by the kirchnerist government about its public management was the idea that the purchasing power of the workers rised significantly. Furthermore, the income redistribution would have balanced reaching a more egalitarian state than in the previous decades. In effect, until 2013 there was a real wage recomposition later cut short by the 2014 devaluation of the peso and the rise of prices of the family basket. However, the historical tendency of the last 40 years shows that even if there actually was a wage recomposition in relation to the mega-devaluation of 2002, the purchasing power hasn’t surpassed the situation of previous decades. In this sense, after each crisis (1975,1982,1989,2001) the real wage tended to increase but to a minor degree than in the previous moments of the crisis outbreak. In effect, the average real wage of the last 10 years constitutes a 88,3% in relation to the one from the menemist decade and is far away from the purchasing power of the workforce prior to the instauration of the military dictator ship (a 66,7% in relation to the 1970-1974 period). This drop of the real wage affects mostly the unregistered sector of the economy, in other words, more than a third of the workers. In this sense, the gap between the purchasing power of the registered workers and unregistered workers has tended to worsen in the last decade. While during the 1991-1999 term the average percentage of the take-home salaries of the undeclared jobs constituted about 59% in relation to the taxed wages , in the last decade that percentage only reached a 44%. If the promises of the macrism about eliminating the income tax are made real then the wage gap between the two fractions will be wider. It is important to notice that the hiring of unregistered workforce allows bussinessmen to earn millionaire profits because of the savings on social charges. Only between 2012 and 2013, the capitalists who employ unregistered workers saved more than 9 thousand and 10 thousand million dollars respectively ( at official exchange rate). This numbers, which are not visible and don’t appear on statistics, are not taken in account when the income redistribution is calculated. Nevertheless, with all this subsidies the national government hasn’t reduced poverty. By the time it stopped being published, year 2013, the official indicators registered a 4% or 5% of poverty. However, unofficial numbers based on a more realistic basket indicate an ascending tendency between 2012 and 2014 that goes from 26,7% to 31,5%. [ii] This means that kirchnerism ends its term with a poverty rate closer to the worst moment before the outbreak of the 1989 crisis or the 2001 burst. It seems like the “k” prosperity period was short-lived. All the indicators until the year 2007 and 2008 somehow showed a relative “improvement”, and then started to worsen. The economical activity and the employment rates put a brake on its ascendant course and then stalled and later decreased. As a consequence, the unemployment rates increased. Nevertheless this increase does not manifest ine the official statistics, among other reasons because of the inconsistences of the measurements and the ruses of the INDEC. Using scientific criteria, the unemployment rate of the kirchnerist age ( at least that wich manifests more clearly) is higher than during the menemism (we refer the reader to the article La mayor desocupación… in this issue). Beyond the open unemployment growth, from 2009 a tendency to the rise of the hidden unemployment started to manifest. In this sense, the wave of redundancies and suspensions in the private sector registered during the 2009 and 2014 crisis showed the limits of the so called “industrial model”. In a context in which the companies started to fire workers, the national government launched a series of measures to contain the open unemployment. One of those actions was the implementation of the RePro plans, intended to the private and registered sector of the economy, whereby the State pays a percentage of the salaries of the workers employed on companies filed for bankruptcy. However this programs didn’t revert the suspensions and redundancies. Even though the real figures of suspensions and anticipated retirements still remain unknown, a survey made by the Work Ministry to 2400 private enterprises located in the 8 large population centers show the growing evolution of suspended and retired workers specially in the most critical years. [iii] Although the last ones are not exclusively refering to early retirements, its evolution tend to rise in times of workers expulsions. So that this increase may be due to retirements done before the estipulated age. Another two programs implemented in 2009 by the State were meant to, on one hand, to “soften” the decrease of the purchase power, specially of the more poor fractions of the working class. These are the Universal Allowance per Child (in spanish Asignación Universal por Hijo, AUH), using funds from the National Administration of Social Security ( in spanish Administración Nacional de Seguridad Social ANSeS) that provides more than 3.6 milion children whose parents are unemployed or with informal jobs. On the other hand, the government propelled the Argentina Works plan meant to contain the open unemployment benefitting more than 100 thousand people. This program mantains occupied a fraction of the vacant population but under under poor conditions. In this regard the beneficiaries received at the beggining of 2015 2600 pesos a month, thatis to say, a sum that doesn’t even represent half of the minimal wage. In such a way, the last stage of the kirchnerist government is caracterized by trying to contain an abrupt growth of the open unemployment. All of this programs which were promoted to avoid bigger social convulsions had as a consequence the manteinance of a layer of the population as latent unemployment (the RePro plans) or disguised (the employment programs). However, it wasn’t succesful. The INDEC figures show a fall of the employment rates and activity level. If the bases of the kirchnerist construct are explained fundamentally because of the soy, what has come evident in the last decade is that this crop is not enough, or at least, that the relative bonanza produced by it has a shorter lifespan. In fact , the outgoing government leaves a country which looks much like the one from the 90’s, this is to say, the prelude to the worst crisis of the last 40 years. With a third of the workers in the unregistered labour market, with an open unemployment going over 25% of the economically active population and with a poverty level above a 30%. With a salary that in spite of the apparent economical recomposition doesn’t reach the average wage under the menemism. This means that in spite of the recovery seen after the 2001 crisis, the social and labour market indicators show that we are worst than in the 90’s. In other words, after each crisis we are one step less than in the previous moments of that crisis. The current situation leave in place the social bases for the rearrangement of the picket movement. Just like in the 90’s, the objective conditions are there. Unlike menemism, the working class has a previous experience of organization in the National Employed and Unemployed Workers Assembly and the Workers’ Left Front. It remains te most important task, the subjective, the rise of awareness and the party’s action, so when the crisis outbreaks in the streets it won’t get us unsuspecting. [ii]Source: CIPPES according to Índice Barrial de Precios y EPH-INDEC. [iii]The large population centers are: Gran Buenos Aires, Gran Córdoba, Gran Rosario, Gran Mendoza, Gran Paraná, Gran Resistencia, Gran Santa Fe and Tucumán. The coverage of the Labour Figures survey in this 8 centres reaches 67% of the total registered employment in companies with 10 or more workers, excluding those of the primary sector. [iv]About the RePro plans and the repression to the manifestants who struggle against the suspensions and layoffs, see: Harari, Ianina: “Escenas de suspenso, terror y esperanza”, in El Aromo, n°79, july/august of 2014.